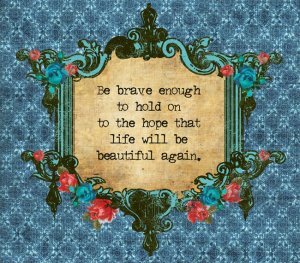 Be brave enough…. | Martha Cravens, Ph.D.
Home » General » Be brave enough…. You’ve got to love this from Brave Girls Club. Yes, you can take a stance to believe what you want to – it will get better. So many people I see are struggling right now. Yes, you can tell your teen you love them, sing while you drive, smile at others. Their response is irrelevant – it’s more about being how you want to be. You could stop reading right now and tell someone you love that you love them. Right now, this very minute, can be good.